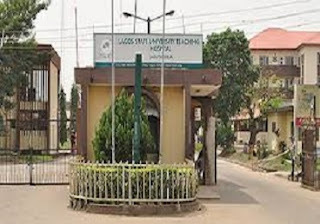 Applications are invited for admission into the Lagos University Teaching Hospital School Of Health Information for a 2 year programme effective from October 2017 leading to the award of Higher National Diploma. Candidates intending to pursue the 2-year HND programme must have obtained in addition to 5 credits at O'Level, the National Diploma in Health Information Management, together with an evidence of completion of one year (compulsory) Industrial Attachment in a reputable health institution. Selection of candidates will be on academic qualifications and successful performance in the written examination and oral interview. Completed application forms must be returned to the Principal, School of Health Information Management not later than June 27,2017. Written Test will be conducted on July 21, 2017 in the School of Health Information Management, Health Manpower Resources Building, LUTH and Oral Interview comes up on July 28, 2017.